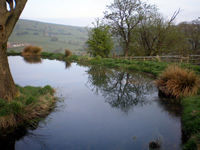 The nature trails at Blaze Farm all offer spectacular views and stretch across ancient woodlands and meadows. 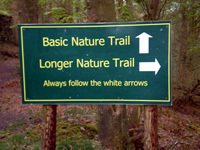 Our basic nature trail is suitable for all ages and splits into two halfway along – basic and longer version – the first half is accessible to wheelchairs and buggies. Both trails end up at the same place and are great for spotting different wildlife along the way. See how the meadow and woodland changes with the seasons, learn about what we do at Blaze Farm on your way round – you can even fill in our fun quiz! Our advanced nature trail is more of a challenging walk so sensible shoes are required! Walk up the incline and across the top of the wood for incredible views across the village. Beautiful all year round. All dogs must be on a lead and no dogs are allowed on the nature trails throughout April.